In knitting, casting on with the thumb method is quick and easy, but the thumb cast-on (sometimes called e-loop) doesn’t look as nice as the cable cast-on — and it isn’t easy to knit into. The two-strand and cable cast-on methods should be your first choice for beginning a project. Still, the thumb cast-on has its uses (such as for replacing cast-off stitches in a buttonhole or for a quick and easy increase stitch in the middle of a row), so knowing how to do it is worthwhile. As with other cast-on methods, you need just one needle to cast on with the thumb method. 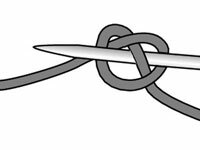 1Make a slip knot on your needle, leaving a short tail. To make the slip knot (the first stitch), make a pretzel-shaped loop and place your needle into the loop and pull gently on both ends of the yarn until the stitch is firmly on the needle but can still slide easily back and forth. 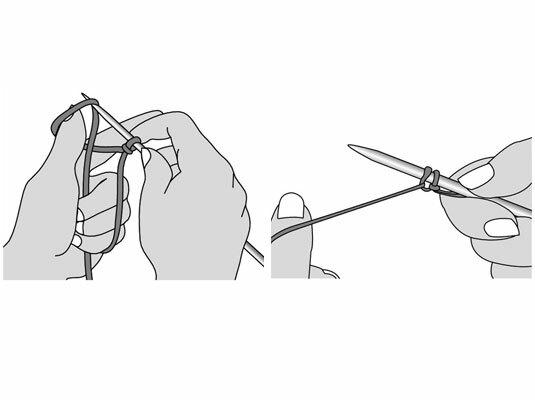 The slip knot becomes your first stitch. 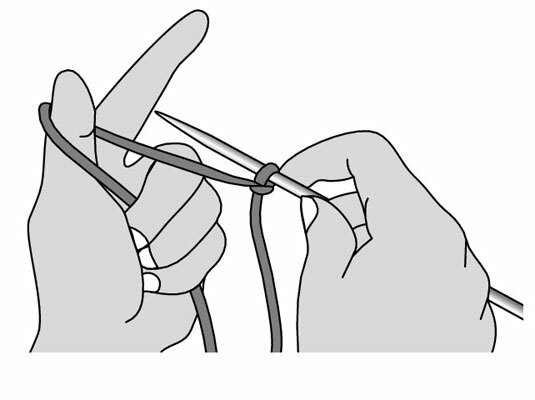 2Wrap the yarn around your left thumb. Hold the needle in your right hand. 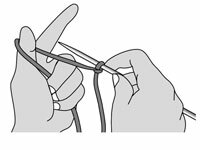 3Insert the needle through the loop around your thumb, slide your thumb out, and pull gently on the yarn strand to tighten the stitch.